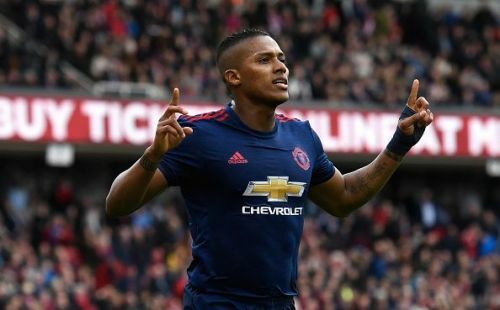 Manchester United veteran Antonio Valencia, who finds himself sidelined from the main squad currently, has multiple options including Premier League rivals Arsenal after he leaves Old Trafford at the end of the season, according to his father and agent Luis Valencia. Valencia, whose contract with his current club expires in June this year, has been left out of the squad for important fixtures including the UEFA Champions League as well as the FA Cup loss to Wolverhampton Wanderers yesterday due to a persistent injury. Valencia joined The Red Devils in 2009 and was even awarded the coveted No. 7 jersey in the 2012-13 season, when he used to play as a winger, as opposed to his current defensive role. In his Manchester United career that spanned over a decade, he has won two Premier League titles, an FA Cup, two League Cups and the UEFA Europa League with the club. The 33-year-old has been in and out of the first team this season following a spell of injuries. He has only made one appearance for the club across all competitions this year and there have been no developments on talks between him and the club. "He definitely will not continue in Manchester. He wants a change in the air and the club is not going to renew his contract either." "Arsenal, West Ham, Inter Milan and one club from China are options, but in football everything is changing." The Gunners' first choice right-back Hector Bellerin is facing up to nine months on the sidelines due to injury. So, it remains to be seen whether Unai Emery considers landing a seasoned PL player for free, given he is back to full fitness by then.